Last Tuesday we were hunting diamond dust halos with Ágnes Kiricsi at Himos ski resort. 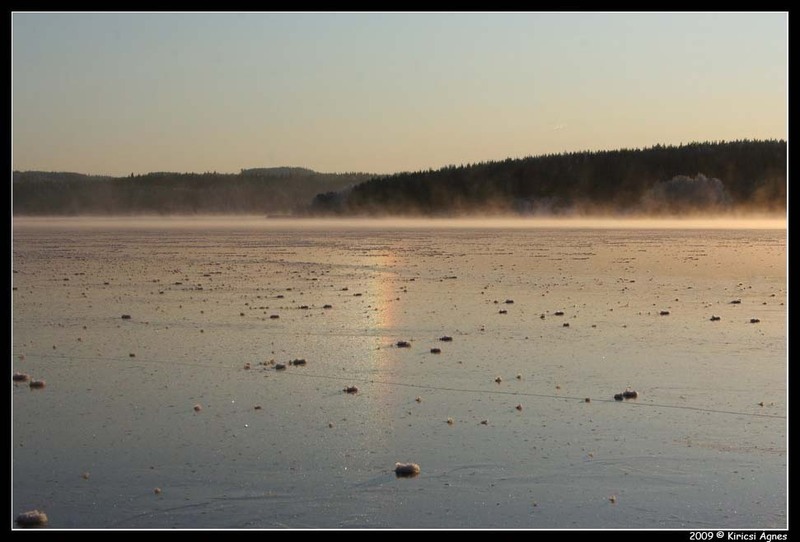 Driving around took us to lake Päijänne, which had just started freezing. The ice was full of ice ferns, but one spot was quite clean and there subparhelia were seen. 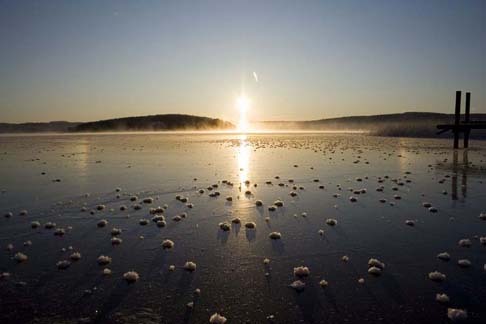 The ice surface was covered with fine powder that was wiped away from slightest disturbance. The powder was crystals that had fallen from the sky and it made the halo. 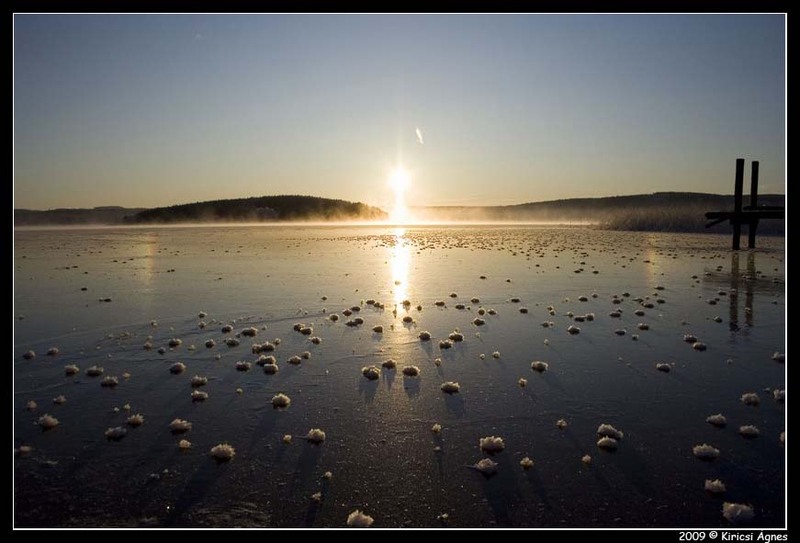 Earlier we have seen examples of ice surface halos that were made of crystals grown from the lake ice ( 1 - 2 ). The image above was taken by Ágnes, see also two more of her images ( 3 - 4 ) and some of mine ( 5 ).